ROC RACE coming up soon in Perth! ROC RACE is sweeping the nation and coming to a state near you!! Are you wondering what R.O.C stands for? RIDICULOUS OBSTACLE COURSE of course. Come on guys. 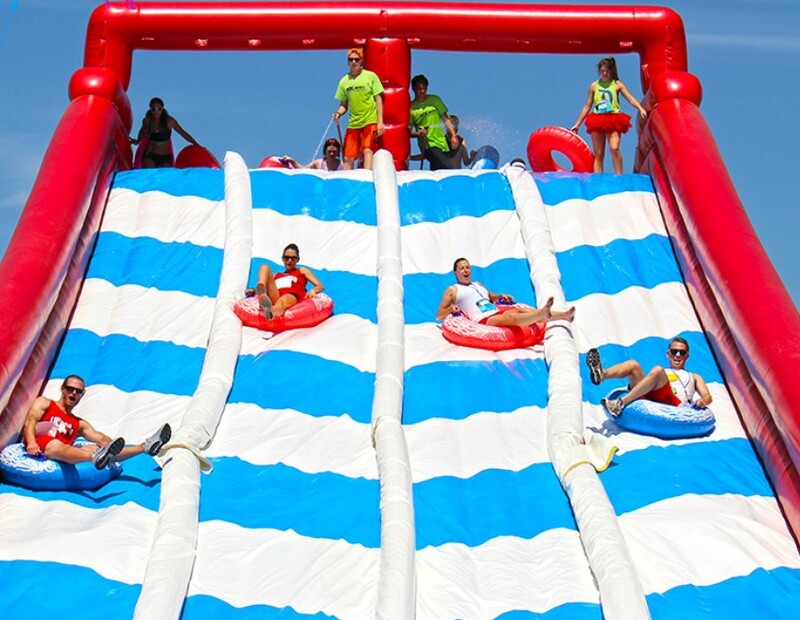 Ridiculous is the word, you will be running, jumping and sliding your way through some of the best obstacles around. Made famous in the United States, the race finally hit Australia shores in 2016 and is back this year promising to be bigger and better! Start training now because the whole course is 5km long, so you better get fit. Have you ever seen the TV show Wipeout and wished you could do the same thing? Well your voices were heard! The wonderful creators of ROC Race have made it possible and they travel around the world. Down under we know all too well that us Aussies either get items/movies, NETFLIX later or not even at all. We admit it did take a few years for the creators to realise we want to participate in the ROC Race and they finally made the trip and it was so worth it. You don’t have to be fit to enter, but we’d strongly recommend it. If you are 13 and older you automatically qualify. Get your running shoes on and comfortable clothing, tutus, long socks and costumes are highly recommended by the way. Get your friends together and form a team! Go to Roc Race Aus to register you and your team today. A few things to consider, this involves a lot of water and swimming pools. Please make sure you are a competent swimmer and don’t mind falling and bumping into these massive inflatables. Fair warning, you will probably go home with a few bruises. Don’t let that get you down, everyone is there to have a good time, it’s not a real race! Bring a change of clothes and a towel and of course SUN SCREEN. Don’t forget to slip, slop, slap, the sun won’t be kind to our skin. For those of you who do not want to participate (you’re missing out) there are spectator seats available and it’s FREE. Watch this cool video to see what the race has to offer! Monsterball Amusements & Hire have formed their very own team this year. We will be posting our progress on our Facebook page. Look out for the Monsterballers! We’re taking over and we might even be wearing tutus! You can create your very own ridiculous obstacle course! How, you might ask? Call Monsterball of course on 93355109! Check out our huge range of obstacles and we can set one up in your local park. We have something for everyone, both wet, dry and equally challenging. Kids, big kids, get in touch now. The obstacles range from 10m in length to a whopping 65m (known as the MONSTER ULTIMATE CHALLENGE). Weave your way through obstacles, mount the climbing wall, and then slide your way home into a pool of water, giving your best mate a high five on the way down. This amazing course can be used wet or dry, summer or winter! Get some mates together and organise a fun day day out. You can even split the hire cost between the lot of you.